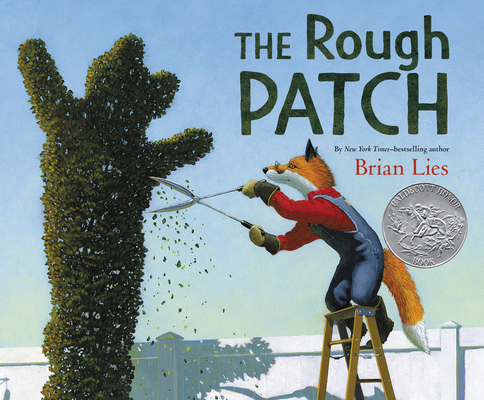 New York Times–bestselling author-illustrator Brian Lies has created a beautiful, accessible, and deeply personal story about friendship, loss, and renewal. The Rough Patch was awarded a Caldecott Honor and features stunning paintings from the award-winning creator of Bats at the Beach. Evan and his dog do everything together, from eating ice cream to caring for their prize-winning garden, which grows big and beautiful. One day the unthinkable happens: Evan’s dog dies. Heartbroken, Evan destroys the garden and everything in it. The ground becomes overgrown with prickly weeds and thorns, and Evan embraces the chaos. But beauty grows in the darkest of places, and when a twisting vine turns into an immense pumpkin, Evan is drawn out of his isolation and back to the county fair, where friendships—old and new—await.